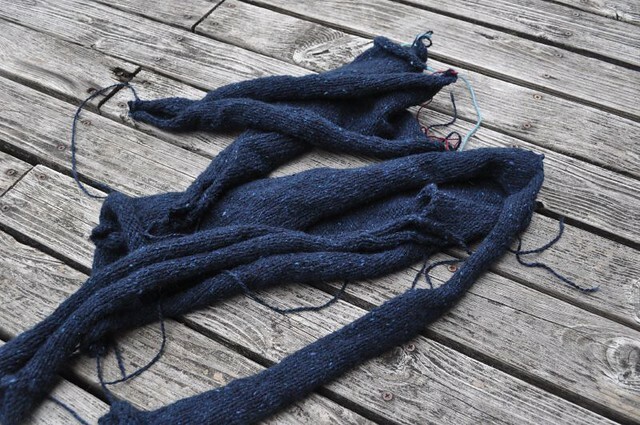 Time to turn this withered mess into a sweater. It always makes me a little queasy when I look at the finished pieces of a sweater before putting them together. I always find myself thinking "uh oh, I hope I didn't mess this one up, it looks all wrong". Then ta-da!!! pretty sweater. Looking forward to see you magical powers put to good work.